We encourage you to contact us with any questions or comments you may have. Include the procedure you are interested in. 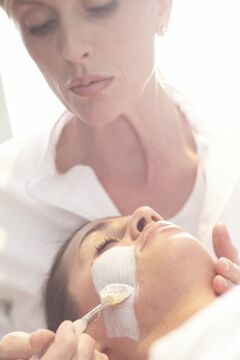 The Aesthetic Clinique Purifying Facial is safe and effective for pregnant and lactating women. This is also an ideal purifying facial for men. Dr. Steve Weiner is a board certified Facial Plastic/Head and Neck Surgeon. His services include Botox, Restylane, Juvederm, Perlane, Juvederm Ultraplus, Radiesse, and Artefill injections. He also performs laser resurfacing with the 1540 Fractional (like the Fraxel) Laser, IPL for photofacial, Laser Hair Removal, Laser for Spider veins, and IPL for acne and precancers. He services: Destin, Panama City, Rosemary Beach, Seaside, Watercolor, Watersound, Crestview, Niceville, Atlanta, Birmingham, Nashville, and Sandestin.